January | 2015 | Don't Worry. 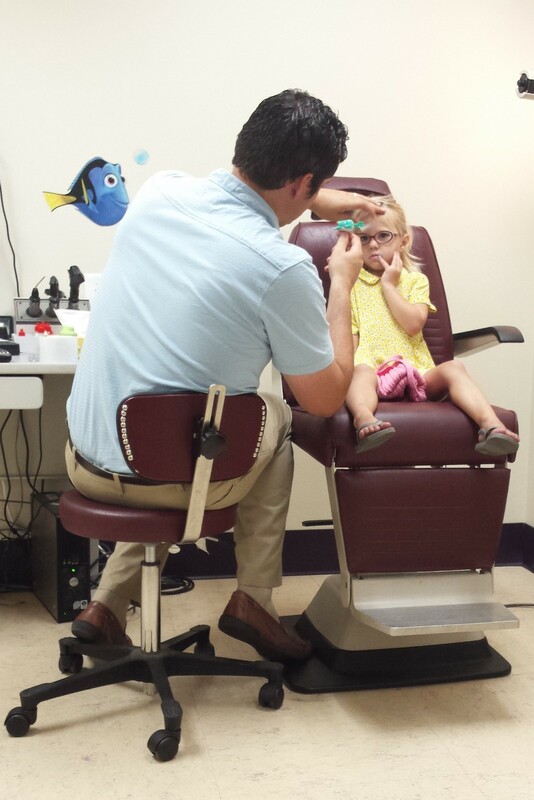 We learned shortly after Jane turned two that she needed glasses. 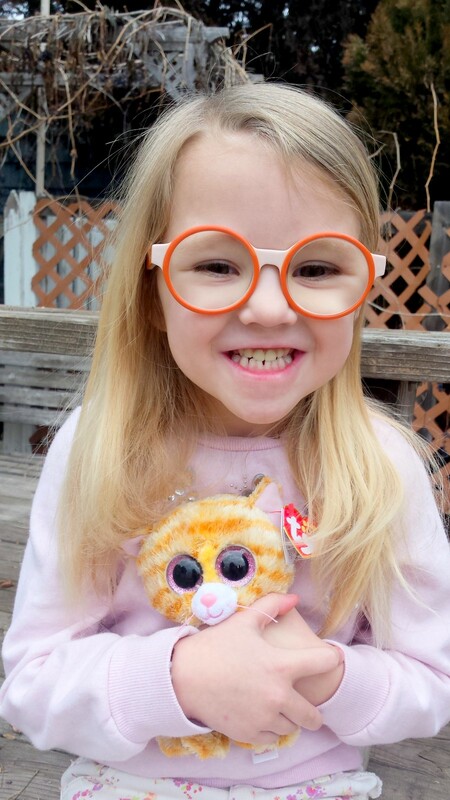 Her left eye was incredibly far-sighted (+6) and her right eye was perfect. We knew from the very beginning of her glasses journey that she would need to patch at some point. 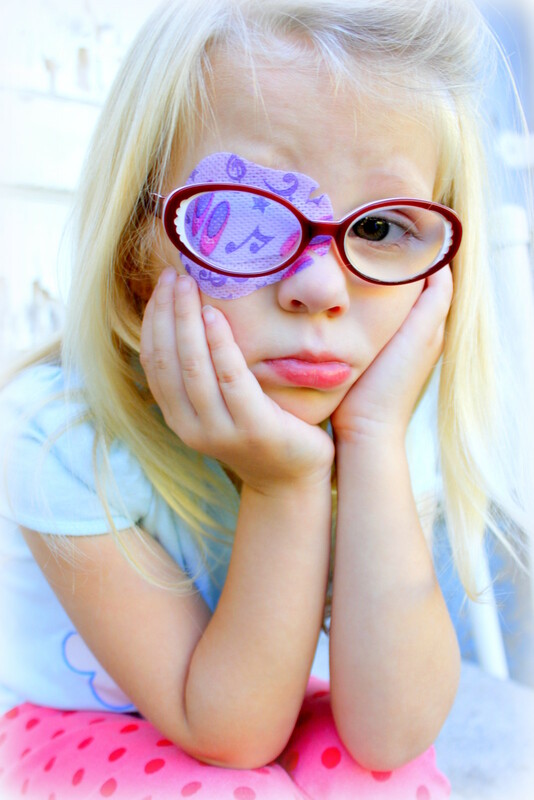 One year later, her ophthalmologist said it was time to start having her wear an eye patch. Her left eye had gotten better (+5.25) which was great news, but her vision was at about 20/60. He recommended we start patching her every day for 2 hours. The idea is that we would patch her strong eye so that her weak eye was having to do all the work, which would hopefully make the weak eye stronger. He would check for progress every 2 months or so. Patching was NOT fun. Jane hated it. 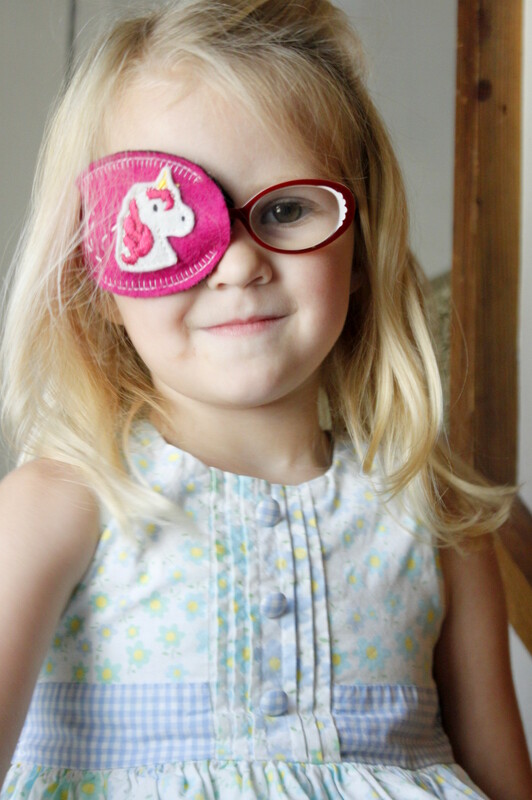 We found a patch that slide right onto her glasses instead of stuck to her eye, and she seemed to like that more. We only saw a little progress however, and at her next appointment, the doctor said we needed to start patching all day long. 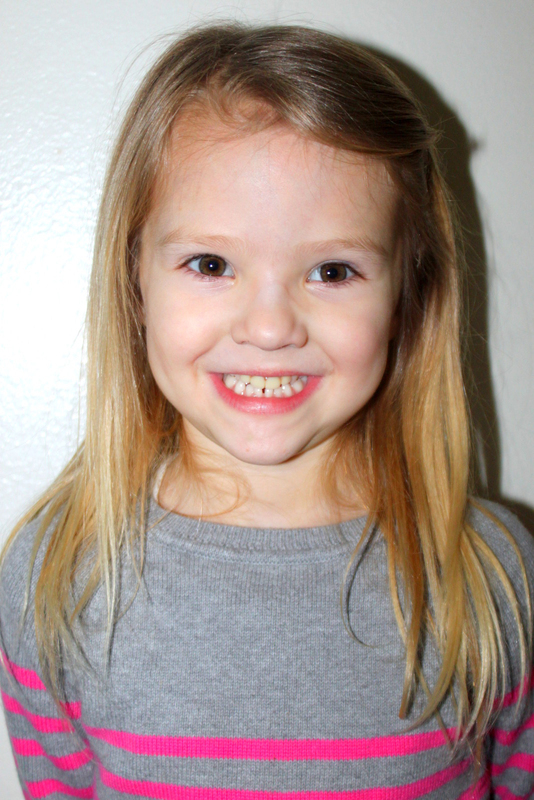 After about 6 months of patching, her eyes were only at about 20/50. Next her doctor suggested we use eye drops to blur her good eye at all times so her bad eye was doing all the work with or without the patch. This was actually quite easy, as we could put the drops in while she was sleeping. She was also supposed to wear her patch about 8 hours a day. We also stopped using the fabric patch. I wanted to be sure that she was entirely using only her bad eye and she would sometimes look above or under that fabric. At her next check-up, she was at 20/20! The drops and patch combination had worked! We were so happy. We stopped the drops and patching went to 3 days a week for 2 hours each time. 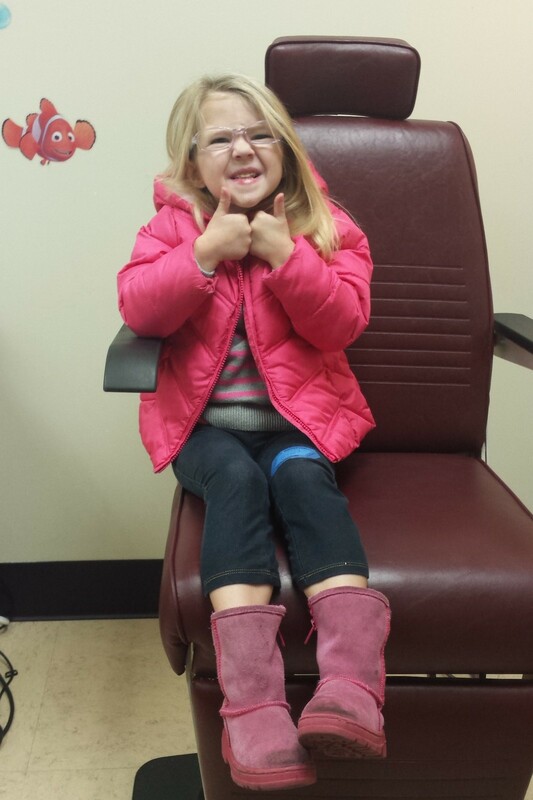 At our next appointment her bad eye was at +4.5 (YAY! ), however, her vision was back at about 20/40. The doctor recommended we continue patching the way we were and see how things worked out. That’s where we are today. 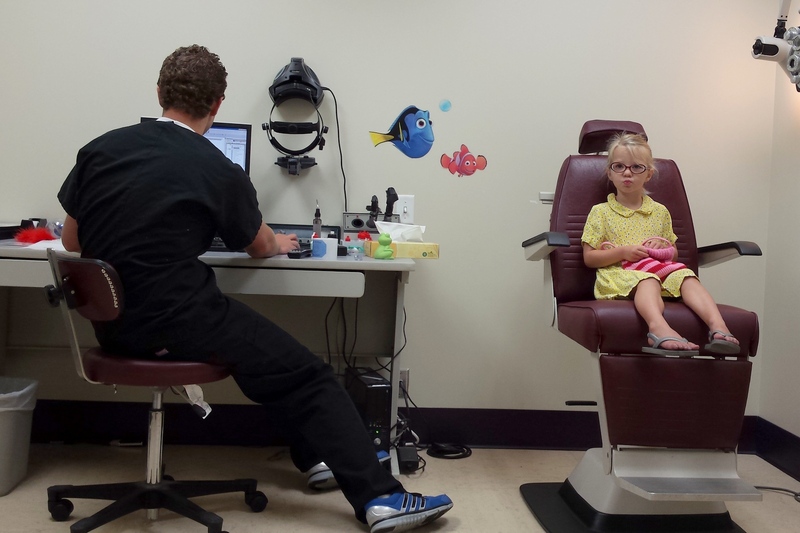 The doctor is hoping to have her done with patching when she starts kindergarten, so we still have about a year and a half to keep trying things. This hasn’t been the most fun process, but Jane is such a good sport. It’s also fun finding her new glasses as her prescription changes. I am so hopeful that we can get her eye in the best shape possible. I am also super grateful that we caught the problem in the first place and that she hasn’t needed surgery. 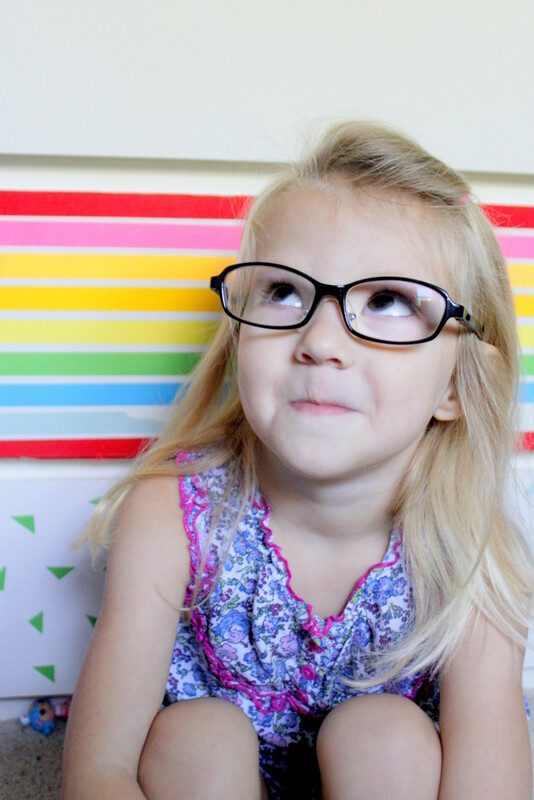 With or without glasses, this girl is as cute as can be.